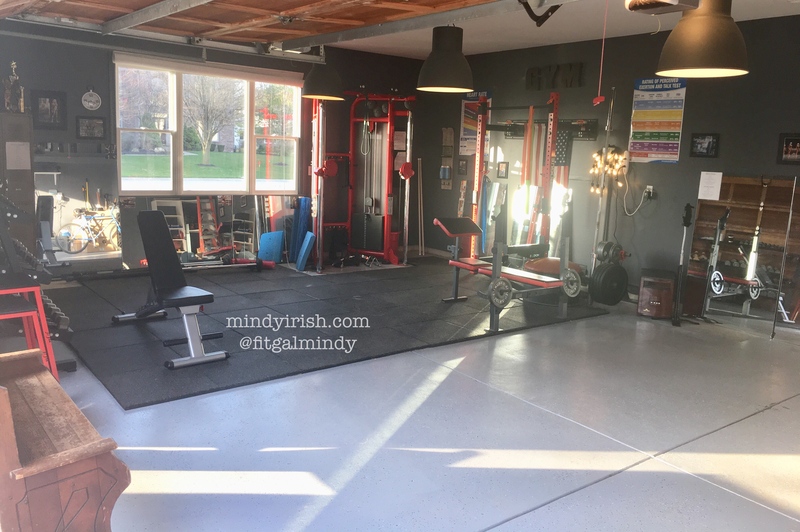 Mindy Irish is an Indianapolis Personal Trainer with a National Academy of Sports Medicine (NASM) Certified Personal Training (CPT) certificate and a BS teaching degree in Physical Education from Indiana University. She offers 1:1 and small-group personal training sessions for women and youth, in addition to online coaching, and 1:1 Bikini/Figure posing coaching. Dan Irish is an Indianapolis Personal Trainer working on a National Strength and Conditioning Association (NSCA) Certified Strength and Conditioning Specialist (CSCS) certificate and has a BA degree from Indiana University. He offers 1:1 and small-group personal training sessions for men and youth, focusing on athletic development and strength gains. Dan is a High School football Coach and also works as a Realtor in the central Indiana area. He was a football player at Indiana University under Coach Bill Mallory from 1993-1997, and was a youth football coach for 10 years. WHAT TO EXPECT: Training with Dan or Mindy will be a session in learning how to lift weights, incorporating whole body and body-part split training. The sessions will focus on improving strength, muscular growth (hypertrophy), flexibility for your muscles, sport specification (Dan), and optimizing mobility for your joints. YOUR BENEFIT: The Irish’s training goal is to teach you how to not need them someday! They are so passionate about weight training that they want to teach others the how-to so they also can have the knowledge to walk into a weight room and give themselves a workout with the free weights and cables. The couple’s overall goal is to help you grow your self confidence so you love to train and can do so for years to come, therefore keeping your muscle mass as a priority and your metabolism primed as you age! ABOUT MINDY’S METHODS: She studies constantly and will focus on safely teaching you form, intentional lifting strategy for all body parts, cardiovascular conditioning, proper muscle activation, all while incorporating stretching and mobility as well. She and her clients can also spend some of their in-person hour talking lifestyle modifications, nutrition, and weight-loss strategies. She loves getting to know her clients, but during a training session, she takes it seriously and is here to teach and train you for amazing results, not just to chit-chat about your weekend! ABOUT DAN’S METHODS: He trains athletes for the primary goal of improving athletic performance. He conducts sport-specific testing sessions, designing and implementing safe and effective strength training and conditioning programs, and provides guidance regarding nutrition and injury prevention. LOCATION: Their in-home gym located in East Fishers, Indiana near 104th and Olio Road, just 10 minutes from Ikea! SCHEDULING: Email mindy@mindyirish.com, Call or Text: 317.508.9282 to start the process! 1x Weekly Training AND Coaching Package: $249 monthly; based on a small coaching fee and $45/training session for 52 sessions a year; billed monthly; sessions don’t carry over month to month; Ask what’s in the Coaching service! 2x Weekly Training AND Coaching Package: $379 monthly; based on a small coaching fee and $40/training session for 104 sessions a year; billed monthly; sessions don’t carry over month to month; Ask what’s in the Coaching service! -All training clients will fill out a 6-page intake and health history form. -To secure an appointment on the calendar, all sessions are prepaid and are to be used within 6 months and expire thereafter. -Training 10-packs are prepaid to secure the promo rate and may be shared between people in the same household; Good for 1:1 sessions or Couples’ Training only; Couples’ Training is booked at 2 training hours/session. -An ideal training regimen with Mindy or Dan for optimal results is 1-3x weekly, in addition to your own training. -Personal training sessions are for in-person weight training guidance only. Extensive nutritional guidance and long-term goal planning are services reserved for the Coaching/Training packages only. -Dan and Mindy expect a 24-hour notice for cancellations or rescheduling; In the case of an emergency or family-related issues, they will allow two reschedules and then the client will be charged one training session for the missed appointment.